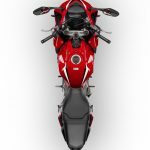 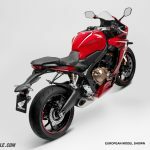 Honda is bringing its sporting motorcycles more in line with each other, much in the way that it has embraced the Neo Sports Café for its sporty standards. 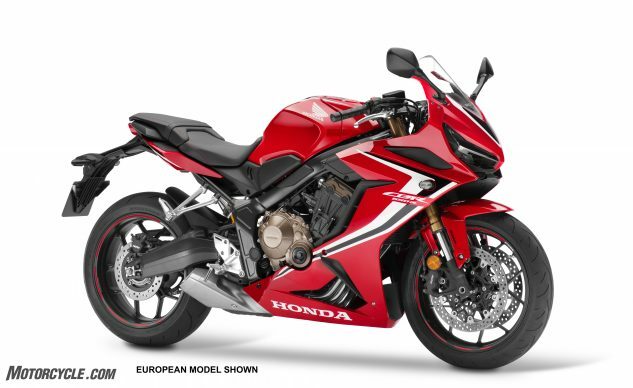 Take, for example, the 2019 Honda CBR650R (née CBR650F). 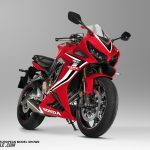 The styling looks just like it’s big brother, the CBR1000RR, and that’s no accident. 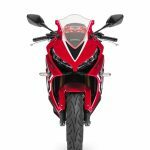 From the dual LED headlights to the sharp, angular lines the CBR650R isn’t just a cosmetic update. 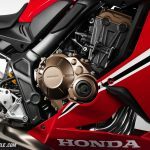 Compared to 2018 the ABS model drops 11.6 lbs. The frame, with its new pressed swingarm pivot plates (rather than forged), accounts for 4.2 of those pounds. 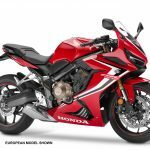 Other areas of weight loss include the tank and the updated footpegs. 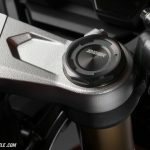 The new 41mm inverted Showa Separate Function Fork (SFF) handles bumps in the front, and a 7-level preload adjustable shock handles the rear. 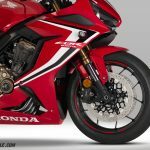 Both suspenders need to control less unsprung weight in the new cast aluminum wheels, which lost 0.97 lb. 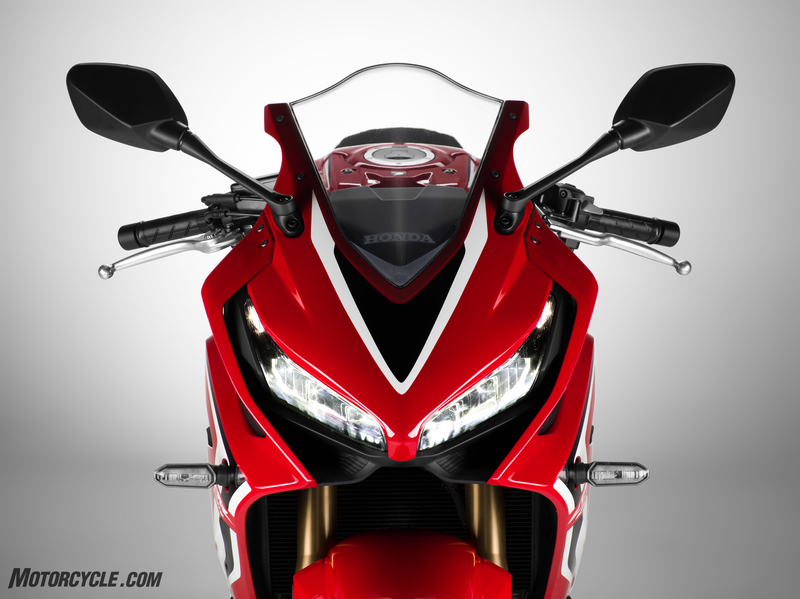 and 1.2 lb front and rear, respectively. 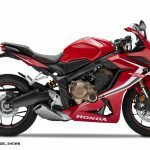 The engine produces 5% more power above 10,000 rpm, and peak power hits at 12,000 rpm just before the new, higher rev limit. 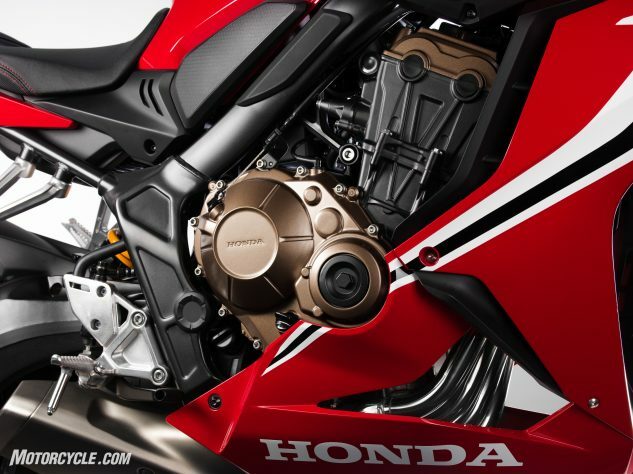 Those higher rpm are fed by twin air ducts just below the headlights that flow a higher volume than the old single intake. Additionally, an assist/slipper clutch is now part of the hardware that the 650 includes. 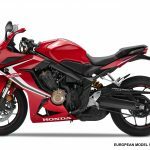 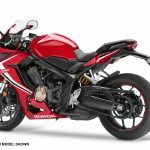 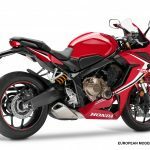 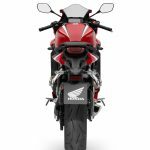 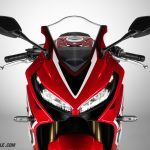 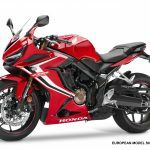 Pricing and availability have not been released, but there will be two CBR650R models, one with and the other without ABS, in some version of Honda Red (if the photos are to be believed).